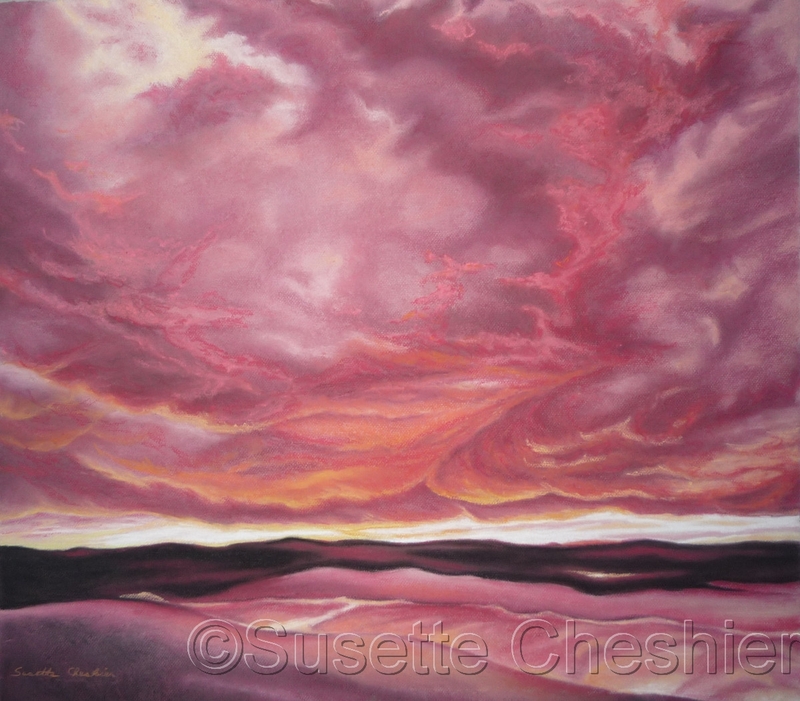 Pastel painting of a red cloud sunset. Semi-abstract landscape of reds, pinks, oranges, blacks and yellows. 5" x 5.75"7" x 8"9" x 10.25"11" x 12.5"13" x 14.75"14.5" x 16.5"